Stelatel is one of Australia’s leading TV antenna installation companies, providing first class services for more than a decade.In this time we’ve installed and repaired thousands of digital TV antennas around Melbourne, and provided first-class service to customers everywhere. If you’re experiencing poor TV reception or can’t tune in to all the latest channels, then your current television aerial might need some attention. A new digital TV antenna means you can enjoy all the free-to-air channels, view the Electronic Program Guide (EPG), and of course watch TV in High Definition. 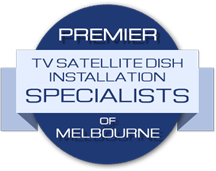 Stelatel specialises in TV antenna installation in Melbourne, allowing you to enjoy your new TV quickly and easily. Stelatel also offer specialist antenna repair services in Melbourne. Our technicians can soon restore your digital antenna to proper working order, with a fast and reliable repair or replacement. Stelatel is an Australian leader in electrical TV installation in Melbourne, providing reliable services with competitive pricing. 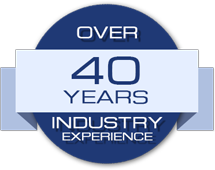 Speak to one of our friendly staff, or go online for a free, no-obligation quote. Good and punctual, he was able to explain everything clearly. They are even coming back to finish off a few extra things free of charge, which is very nice.